Taking in the view of New York City. Jon Larrucea is a 28 year old champion slalom skater who lives in Barcelona, Spain. He is currently spending his time traveling around the world doing demos, teaching lessons and performing with Circus Eloize. How old where you when you began inline skating? 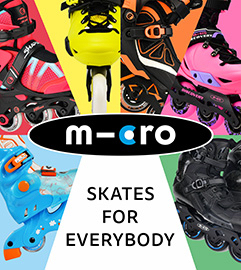 What were your first skates? I started inline skating when I was very young. I even took ice skating classes as a child. I ended up cycling and playing rugby for a while before rediscovering my love of skating. It was destiny that made me skate again. I moved near a beach with a beautiful promenade. This is where my uncle left his skates “unattended” and I began using them myself. They were an old model Rollerblade with the three straps and a hard shell. What kind of skating did you start doing in the beginning? I started doing the “I don’t have any idea of what I’m doing” style of skating. Nobody taught me anything and I just learned by attempting everything and falling. After a while I got some fitness skates and by then had already refined my skills. I witnessed some people skating super fast through big cones which instantly got me interested in doing the same thing. After that, I got a pair of Seba FR1 skates and started experiencing a whole new side of skating. After mastering the simple tricks like fish and one foot, I soon discovered the real sport, with real cones and distances. Since the beginning I have invented my own tricks. Have you done or do you do any other disciplines of inline skating (like freestyle, aggressive, off-road, distance, speed)? I’ve tried all of those. I have also tried hockey, blade-cross, slides, jump, figure skating and even downhill. The disciplines that I enjoy the most (besides Slalom) are off-road, speed skating and blade-cross. I regret not having tried roller derby. Are there any disciplines of skating outside of slalom you enjoy watching? I would say I enjoy watching all of the disciplines. Perhaps, the one I enjoy watching the most is figure skating. How much did you have to practice to reach your current level? That is immeasurable. Slalom is my passion. At the beginning I never “trained”. It was just pure joy. I could spend 8 hours under the sun practicing my tricks. I practiced whenever I had free time, so you can imagine how much I skated during the summers. I was coming back into skating from competitive cycling. I was used to training many hours in a sport where you have to suffer and there is not much room for creativity, just hard work. So when I moved to skating, it was a pleasure to train hard. What was the hardest part about learning slalom tricks? The hardest part was the frustration of not understanding what I had to do. Also, the fact that I was trying tricks that I only saw on a screen and had nobody to explain them to me. Slalom tricks, when you start doing them on one wheel, are so unstable. One day you can do it and next day you’ve lost it. They require a lot of regular work and the commitment to not give up too early. A good slalom skater must be stubborn. What was the most difficult tricks for you to learn? What countries are most popular for slalom? Italy, France, Poland, Spain, China, Vietnam and Argentina. These countries are the most popular for freestyle slalom. Photo by Bladeville taken during Jon’s holiday in Poland. What are your favorite cities that skating has taken you? I was really surprised by Saigon, Vietnam. That was by far the best city for street skating I have ever been to. I left my hotel on my triskates and just explored the whole city. There are no laws there and you can just grab on to every scooter you see and the drivers seemed to like pulling you. Everyone is so friendly and the food was extremely cheap. I’m looking forward to going back. Barcelona will always be my favorite city for daily skating and the air quality is significantly better here too. Right now, I would say once a year. What is your favorite competition? It was Summerstyle in my hometown. Unfortunately it doesn’t exist anymore. What is your greatest personal achievement you have had skating? In terms of competition, the double gold in the European Championships, third place in the World Ranking in 2011 and the current Gold Medalist at the Spanish Championships. However, my greatest achievement in skating is being able to travel the world, meeting new people and being able to freely move around a city on skates whenever and wherever I want. I sprained my right ankle when I had two skating trips already booked. It took so long to recover and kind of broke my progress. Performing slalom moves during Circus Eloize. Do you have any sponsors besides Seba? Yes, Inercia shop in Barcelona. Both supported me even after I stopped competing and joined the contemporary Circus Eloize. How long have you been skating for Seba and Inercia? Do you have history with Igor or Seba themselves? I entered competitions with Igor skating in them and I would see Seba at various events. They are my slalom heroes and sponsors so I owe them much respect. How is your life after joining the circus? Since joining the circus my life is completely different. Before I was spending most of my time studying and competing. Now I get to travel with the circus to new places and we usually have a lot of time off, so we can explore the cities we go to. Sometimes we even rent a car to explore the nearby areas or towns like we did in South Africa, Australia and New Zealand. Being able to travel with the circus has allowed me to make contact with skating communities in different countries. I do not get the chance to compete as much now, but I do get the chance to see my friends and make new ones in the cities we go to. Did you have to learn new skills related to skating? like I would in competitions, they expected me to skate without looking down at the floor, be more graceful and visually express different feelings. I have to fight, use a jump rope with and without my skates, carry a girl around on my skates, hip-hop dance, hang from my neck, etc… Even my body had to change to adapt to all the new challenges that were expected of me. What are you favorite places to go skate? My favorite place to skate is the beach promenade where everything started for me. I really enjoy skating there the month of November. Especially during the morning when the weather is perfect and there are no other people there. The promenade becomes this quiet beautiful place with the beach right next to it. I have had so many good memories here. How would you describe slalom skating and culture around it to skaters who know nothing about it? As any freestyle discipline, you can do whatever you want. Recently, I was skating with dance skaters in New York City who complimented my skills when they first saw me skating, but when I put the cones down one of them exclaimed “ooh, you like that? That is so constraining, with the little obstacles… I’m so free just dancing!” I respect that opinion but you can be as free as you want with slalom skating, you just add difficulty to it. It requires more control and allows you to create figures that would not be as attractive without the cones. Freestyle slalom is like life, there will always be obstacles but you manage to avoid them in creative ways. Jon taking part in an aerial performance with Circus Eloize. Slalom skating is one of the most popular forms of inline skating in most corners of the world. Why and how do you think Slalom became popular in so many places? Slalom is a beautiful sport, that captivates the people who see this art form being performed on the streets. I hope more people discover this sport and that it continues to grow. 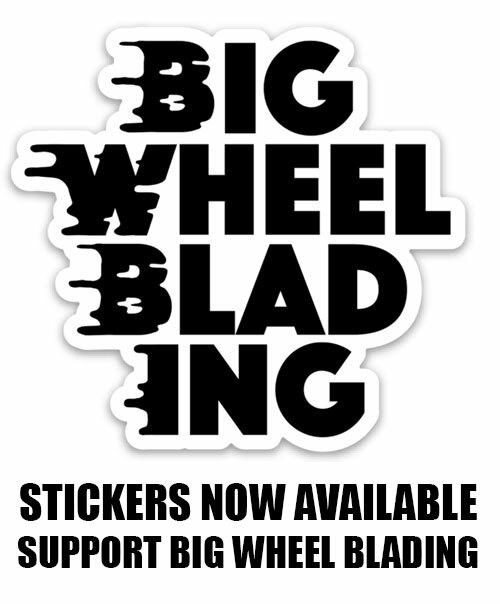 We need an amateur base of skaters that just want to have fun and express themselves through freestyle slalom. Those skaters who love to practice slalom on the streets with a smile on their faces are the real ambassadors of our sport. In the United States I have never really heard of or seen any slalom skaters. Why do you think slalom and inline skating in general is less popular in the United States? It might be a cultural thing. In America, I sometimes get the feeling that people see skating as something “old school” or unpopular… especially with Freestyle slalom. In my opinion social pressure is a big factor in this. People, especially young people, that are the ones able to raise the level of a sport in a country, dislike the idea of practicing a minority sport or practicing alone. Also, it is difficult to get to a level where you feel confident to show your talent to other people. It’s not like running, cycling, basketball or soccer… Those sports are either easy enough to do in a decent way or group sports. Even dancing is different because you can practice at home until you aren’t shy anymore. If you practice slalom you will most likely have to do it in the street and it will generate attention from passerbys. Many people don’t feel comfortable with this, especially if you feel like you aren’t good at it yet. I was in New York teaching slalom and doing some demos at a festival. After the show skaters from all over the country came up to me and said that they had never seen anyone do tricks like these before. They thought slalom was pretty cool and wanted to learn how to do some of the tricks. I was pretty amazed by how they responded to my demo. The United States has huge potential if we a can only change the perception of slalom there. With some of his students during his first workshop in Central Park, New York City. I love the style and technique of Zhang Hao. He is so humble too. Who are the greatest slalom skaters of all time? I grew up watching Sebastien Laffargue, Munobal, Igor Cheremetieff, Apache, team Valhae, Fanny Violeau and Korean skaters. I wanted to be like them! They pushed the sport to new levels and wrote the history of Freestyle Slalom. Where do you want to see your skating go in the future? I want to be able perform more stylishly, invent a lot of footwork tricks, blend breakdance with slalom skating and invent new ways to use skates. Jon with his co-performers of Circus Eloize. Follow Jon on instagram to keep up with his skating and travels.